Ludford, Shropshire. The Bell House. 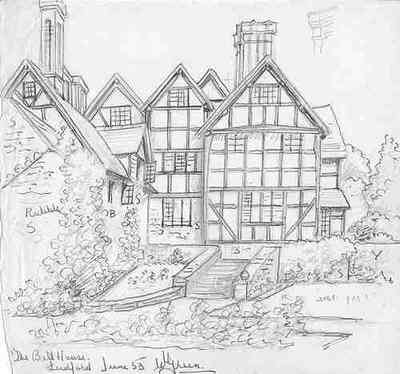 (drawn 1953) Draft pencil sketch, no finished drawing available.